Indiana Jones has a problem. Not one that you can really fix. It isn't like we need to have an intervention or anything else that requires any kind of organisation. People need to calm down. As a guy, he is okay. He isn't unwell or anything, it's just it has been a long time since Fate of Atlantis. 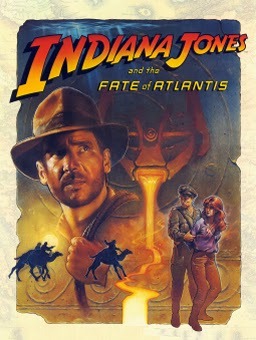 Indiana Jones and the Fate of Atlantis is not only the single best Indiana Jones game that has been made thus far, but it is also a standout title when compared to a great number of other games. It's highly regarded. I regard it highly. 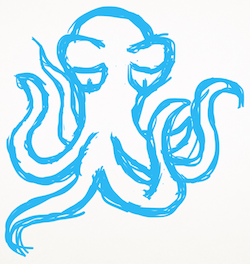 As do others. The problem is that it washed up on IBM compatibles in 1992. It's been twenty years. Well, twenty two, but, you know, we do this in decades. It's a rounding thing. The franchise has offered up other fairly okay games in the intervening period, but it's a torch holding thing that they're not doing. It's not about not having hands either. It's metaphorical. The torch and its holding. Someone else has decided that it is their responsibility to amend this situation. And the product of that responsibility is La-Mulana! This is what Indiana Jones games should be like. It's exquisite. It's not an actual Indiana Jones title, because that would get them in trouble, and in a lot of ways it is the better off for it. It isn't really like any other Indiana Jones games I've seen either. It is an entirely different genre to Fate of Atlantis. In fact the only things they share are the hat, the whip and the undeniable quality. The closest you might come within the bounds of officially licensed materials might be Indiana Jones' Greatest Adventures, but even then that would only be because they are both platform games. La-Mulana is a metroidvania kind of thing, whereas the SNES game was a more traditional platformer with levels and passwords in lieu of a save function. 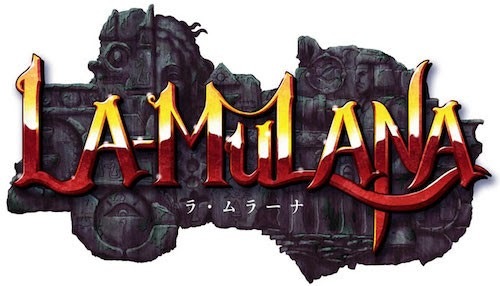 Anyway, La-Mulana is different to those things, but still rocks out in a way that is pretty retro. Beyond the art, which is clearly a product of a pixel passion, they have really nailed a classic style of game design that I feel fell by the wayside somewhere down the track. It walks a very fine line between between challenging and deeply frustrating, and will often have you running madly around the temple figuring out what you need to do next, but there is a pleasure in mastering all the jumping and whipping. It is hard. I should say that. It is hard in a similar sort of way that System Shock 2 is hard. This puts it in the realms of punishing. You aren't going to cruise through this game. I've had to start over once already. Something happened, and I thought, 'I'm never going back! I'm done! You screwed up La-Mulana! ', but I was wrong. I went back to crawl the halls of the temple once again. I started from the beginning, and I am having as much fun playing the game as I did the first time. Probably more. Yes. More. There is a Kickstarter campaign that is in the process of winding up for the sequel, so there is going to be a second one, which is good if you like the first one. In the meantime the first one is currently available over on Steam. Actually, while I am on the subject, Fate of Atlantis is also there. On Steam.